We're crowdfunding NOW and getting involved is easy! VAMONOS! Our crowdfunding campaign has gone LIVE! 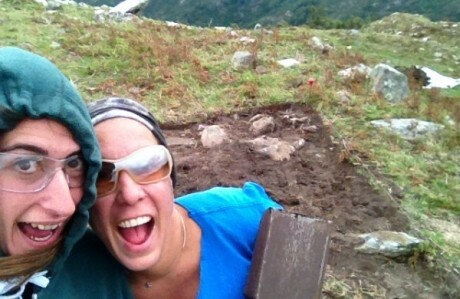 Join our team online or in the trenches for the archaeological adventure of a lifetime! 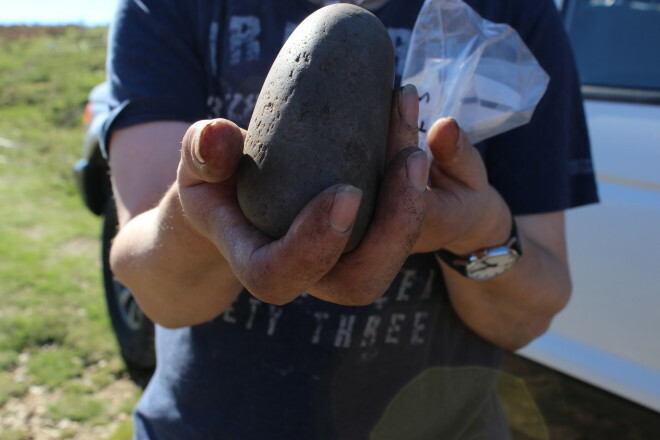 This is not just any rock – it’s smooth edges show us that it was once a polishing stone (from Chavella Hillfort). This project is not just about archaeology. 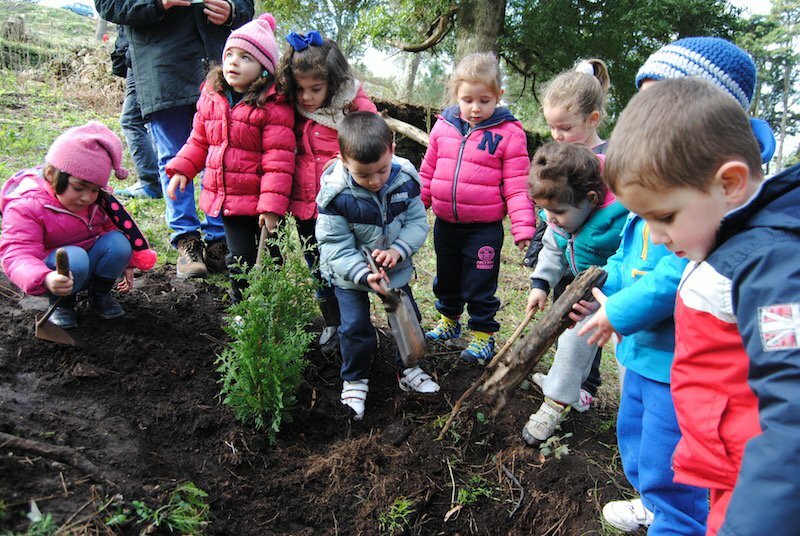 Thousands of years ago, these hillforts were surrounded by ancient forests and today our children are helping to replant them! Culturgal is Galicia’s largest cultural industry fair. Costa dos Castros representatives are invited to present the project as a model for Community Archaeology and sustainable tourism projects in Galicia. 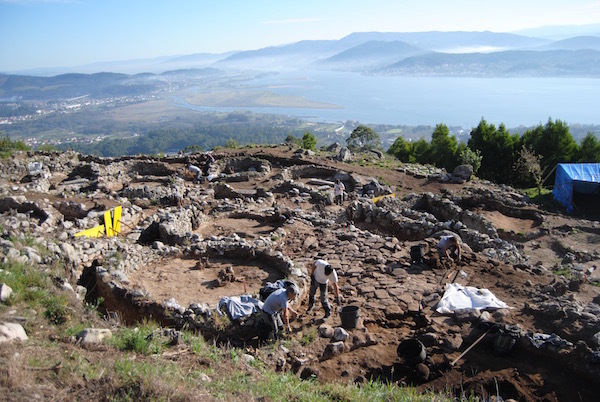 Over £7,500 is raised for the first ever archaeological crowdfunding campaign in Galicia. For the first time, DigVentures comes to dig at Costa dos Castros. The team discovers that Chavella is a mysterious hillfort with not as many finds as expected, but many unsolved questions. 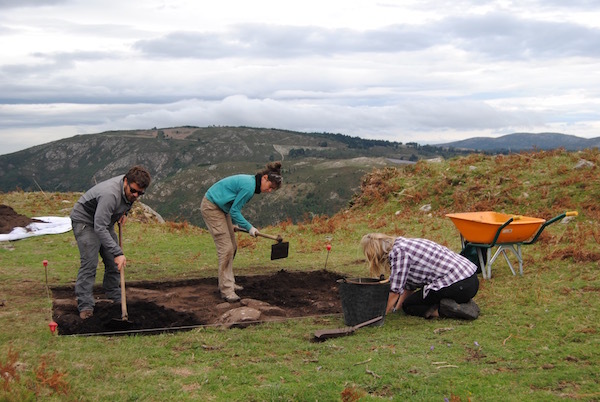 A team of local volunteers and members of the Comunidade de Montes of Vildesuso spent the day clearing Cano dos Mouros and reveal part of the well-preserved defensive wall that surrounds the hillfort. 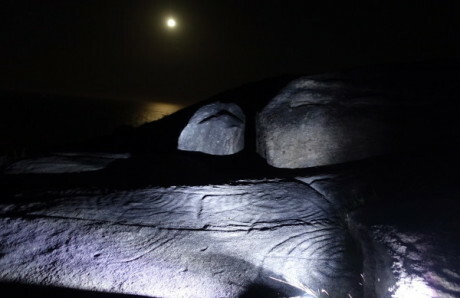 The day ends with the Festa do Rei Sol (Sun King Festival) to celebrate an old legend linked to the site with traditional music, drink and food at sunset. 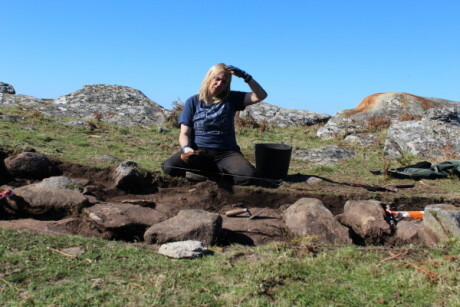 An international team discover the hillfort was much more complex than expected. 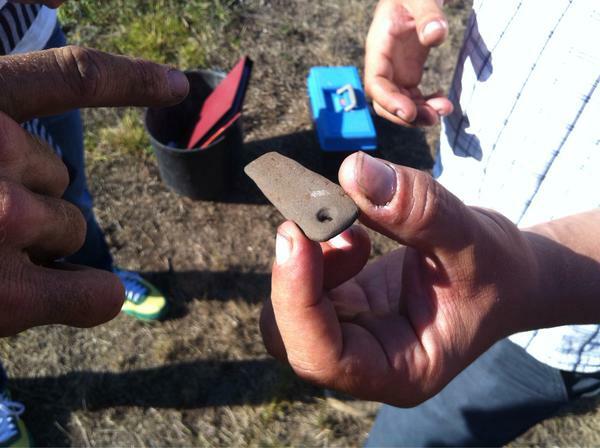 The star finds of this campaign are a gaming piece and various well-preserved pieces of imported pottery. It’s not all about metal! 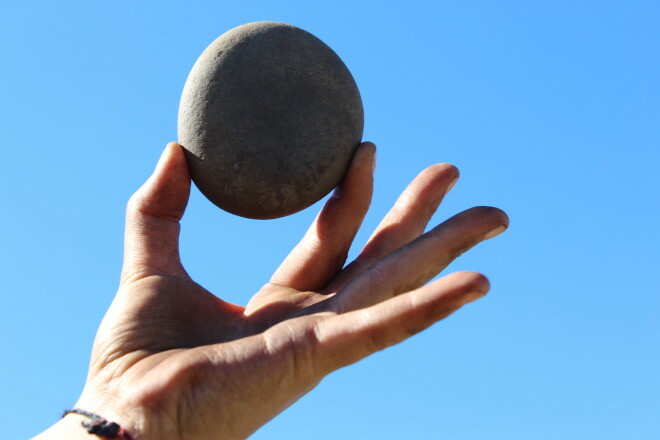 Stone is still important in the Iron Age, as this artefact found at A Cabeciña Hillfort goes to show. We think it might be an archer’s wrist guard. Xosé, Marta and Maggie digging away on the terrace trench at Chavella. Site director Rafael Rodríguez gave us a tour around the dig at Santa Trega hillfort. The archaeology (and views) are amazing!